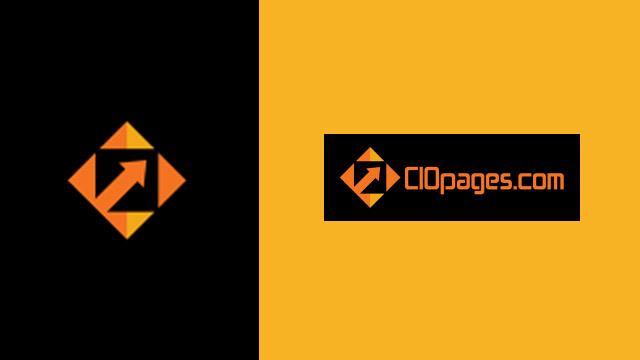 CIOPages CRM Business Requirements are a comprehensive and industry-agnostic list of requirements for enterprise CRM transformation projects. The CRM transformation project teams can use the CRM business requirements as a starting point and rapidly customize to reflect the unique needs of the enterprise. Today, the digital world is making CRM transformation a strategic imperative. Most medium and large enterprises are embarking on implementing new CRM platforms as a centerpiece of their customer-centric transformation. Drafting the CRM business requirements for a transformation is a time-consuming task, and the sample CRM business requirements will help jump-start and accelerate the process. What does the CRM Business Requirements Matrix include? CRM Business Requirements is a spreadsheet with about 300 Requirements. Teams can customize the CRM requirements to each firms’ specific needs. The CRM Business Requirements list encompasses the entire customer lifecycle. What do CRM Transformation Requirements does not include? What are CRM Business Requirements? Today, the CRM (Customer Relationship Management) function has become a strategic lever for many companies, particularly in light of the rising customer expectations, growth in e-commerce, the ubiquity of mobile, and omnichannel. Reinventing the CRM function and bringing it to the digital era is a primary focus of many of the CRM transformation programs. Depending on the expansiveness of the CRM transformation, it may encompass a change in operating model, re-engineering the underlying processes, restructuring of the Customer and Sales Management services, and enhancing the customer and sales team experience. More often than not, the customer relationship management transformation includes re-platforming the CRM functions. CRM systems are first in the wave of SAAS/cloud offerings that have revolutionized the software landscape in recent years. Business analysts who will interview customer relationship and sales management SMEs (subject matter experts) to gather business needs. Hire an expensive consulting firm to draft CRM project needs. Reverse engineer key requirements from existing CRM systems. Conduct vendor evaluations to learn about the state of the art features and functions in CRM software systems and then try to compile the features into business requirements. Analyze the voice of the customer (internal sales team and other stakeholders) and glean insights into changes required and draft them into business requirements. 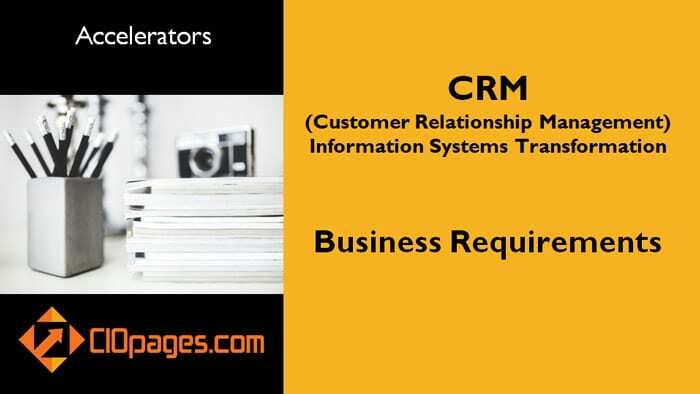 Instead of weeks and months of effort in compiling business requirements for a CRM transformation, the CIOPages.com CRM Business Requirements List can help jumpstart the requirements endeavor and accelerate time to value. The CIOPages.com CRM requirements matrix allows CRM transformation project teams to customize the requirements to the unique needs of the enterprise. The deliverable has about 300 CRM transformation requirements spanning all essential functional areas of CRM. The broad scope of the sample CRM requirements list includes customer acquisition, customer management, sales process, quotation process, and related fields. What is the format of the CRM Requirements? Each of the requirements is in the format of “The system shall…”. If you need to translate them into Agile Stories in the traditional form: “As a <type of user>, I want <some goal> so that <some reason>,” it is easy to do reframe the requirements. Please do let us know if you need any help. As the CRM Business Requirements deliverable is a digital product, there are absolutely NO Returns. Depending on your industry, the type of sales functions, processes and practices you follow, and the scope of your transformation, some of the CRM transformation requirements may not be relevant to you. Indeed these are REAL business needs. Experience consultants with domain expertise conceptualized and wrote the requirements. The business needs encompass all critical areas of CRM functions. How should we use the CRM Business Requirements? More often than not, in every significant (and sometimes medium-sized) enterprise, a cross-functional team of business/technology/architecture teams spend countless hours in conference rooms trying to whiteboard and write business requirements from scratch. The more time they devote to the core and standard needs, the more likely they will miss out on something unique and relevant to the firm. Instead, using CIOPages CRM systems transformation business requirements, you can focus on what’s different and unique about your situation. That is the deliverables enables you to spend 90% of your time on the 10% of the requirements that matter. And only 10% of your time on the 90% of elements that are table stakes. Furthermore, today’s CRM SAAS solutions are highly configurable, and hence having a well-thought-out CRM requirements matrix will help baseline what you need. We understand and acknowledge each company is slightly different regarding some capabilities as well as how they work. However, while there may be divergence at the edges, there is a lot of convergence at the core of most firms. You need to get various raw materials, goods and input services to create value-added products and services your customers demand. The differences may be in the relative emphasis of a few of the critical processes and absence or presence of specific requirements and workflows based on your unique needs. Last but not least, we don’t expect our CRM Business Requirements (or any other matrix/template, in fact) to fit you 100%. We hope you to take this set of requirements as a straw model or a base set of needs, and use it as a springboard to achieve the level customization and specificity in business requirements you desire. If you need professional services to help to tailor the requirements to your needs and capture your firm’s unique essence, we can help. Contact Us for Advisory Service details. But, we have a CRM Business Requirements Matrix already? CRM Functional Experts – 2 or 3 to represent the broad spectrum of areas. You can multiply the average hourly cost of the team and the hours spent, and you’ll get the picture. In addition to the time spent and the associated costs of drafting routine requirements, you also have to consider the opportunity cost. By quickly adding/deleting/modifying the base set of requirements, it will allow you the luxury of spending the balance of your quality time in conceptualizing and crafting the unique and specific Business Requirements, which capture the essence of your company and its Sales and Customer practices, principles, and perspectives. Instead of spending countless hours stretched across weeks or months, you can have a baseline of requirements in a couple of sittings. That helps you expedite and accelerate the transformation. CRM Business Requirements is available at a steep discount as a part of the CRM Transformation Toolkit Enterprise Edition. Would you rather consider purchasing the bundle?